With the 2017 Honda Fit, Goshen and Monroe drivers can rest assured that they’re driving in incredible safety. 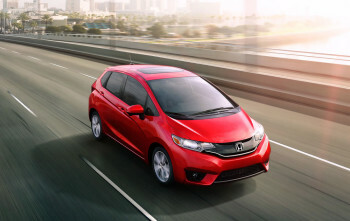 Hatchbacks aren’t often known for their safety when compared to SUVs, crossovers, and sedans, but the Fit has bucked that trend by achieving exceptional safety scores and offering a comprehensive array of standard and available protection technologies. The 2017 Honda Fit is remarkably resilient, thanks to Honda’s popular and influential ACE Body Structure. ACE stands for Advanced Compatibility Engineering; when struck in a collision, harmful impact energy will be directed away from the passenger compartment rather than through it, preventing injuries from occurring in the process. 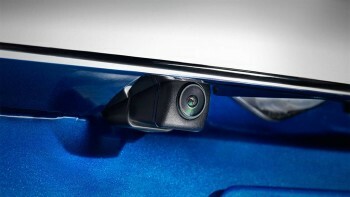 Multi-Angle Rearview Camera: When you’re in reverse, the rearview camera will display a video feed of the area behind your Fit. There are even three viewing modes to choose from: Normal, Top-down, and Wide. Vehicle Stability Assist: The Vehicle Stability Assist system is able to monitor the path that your vehicle is following and compare it to the input from your steering. If the vehicle isn’t moving as it should, adjustments will be made to compensate. Electronic Brake Distribution: This system intelligently varies the amount of braking force applied to each individual wheel, ensuring that the Fit remains controlled if you have to slam on the brakes suddenly. Forward Collision Warning System: The Forward Collision Warning system is able to constantly monitor the area ahead of your Fit to predict any dangerous situations. If a collision becomes likely, a warning will alert you. Lane Departure Warning System: Should you begin to deviate from your chosen lane without signaling, an audible warning will be provided. You can then either re-center the Fit or signal your intentions properly to other road users. Honda LaneWatch: A small camera mounted below the passenger-side mirror can provide a video-feed that reveals close to four times more than the mirror alone. Honda were clearly invested in making the 2017 Honda Fit far safer than you’d expect from a car in this class, and they’ve succeeded admirably. If you’d like to find out anything else about the Fit, or even arrange a test drive, just come down to Middletown Honda today.